Have you come over a situation where due to high traffic to your site, it has been crashed or not working properly. If you have experienced such situation ever or if you are creating any complex online application then you need VPS hosting. VPS hosting is virtual private server hosting which can handle large number of traffic smoothly. A VPS run its own operating system that provides the user great experience and accesses. 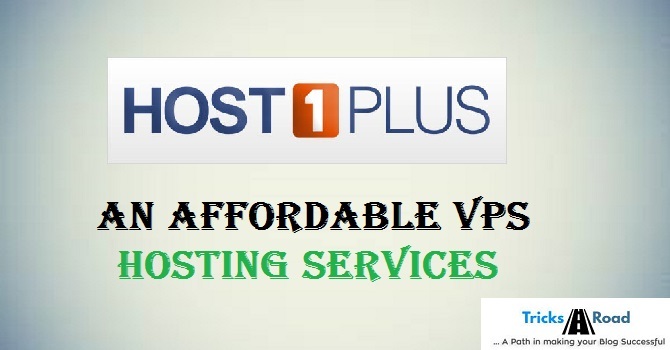 Host1Plus is one such VPS service provider. Host1Plus is a brand name internationally which provides their amazing services since 2008. It’s a UK based company and known for its excellent services at affordable cost. How Host1Plus can help you? 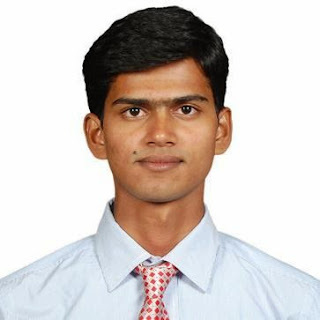 Recently I have started one WordPress blog and was thinking to buy a VPS and finally tried Host1Plus. I must say if you are new and don’t know about hosting and all, go with Host1Plus. Their excellent support team will help you at each and every step and will ensure that your blog has been setup properly. Below are few major advantages that I found with Host1Plus. This is the quality due to which I like Host1Plus much. Their customer support team is excellent. I have even received the responses in 5 minutes. In online world you can understand the importance of support. Yes! They provide a dedicated IP address that helps you in SEO. This feature really help a lot to all especially newbie who doesn’t know the basic steps to install WordPress, plugins manually. Even who want to do all these things manually now? This provides one click setup for many applications which makes your work easy. This is the biggest advantage that I see with Host1Plus. They have servers in multiple locations which enables you to choose the server from your target locations. Suppose you have set up a blog which needs traffic from UK only so you can choose the servers from UK. So this helps you to target your suitable audience. They have their servers in all major geographical corners like North USA, South USA, Europe, Africa etc. Host1Plus is known for its excellent service and price. Their VPS services just start at $2.5 a month which is very less from other hosting services. As I mentioned earlier also, support is the thing that I liked much with Host1Plus. They are 24x7 open through different modes of support and even you can do real time chat to get your issue resolve fast. As promised by the company, Host1Plus provides the most affordable hosting. They have different plans available and depending upon your budget and requirement you can select the one which suits you. It has a VPS hosting divided into 4 categories mainly Bronze, Silver, Gold and Platinum. All have their unique benefits and depending on their use you can choose any. Also their price varies depending on the location. 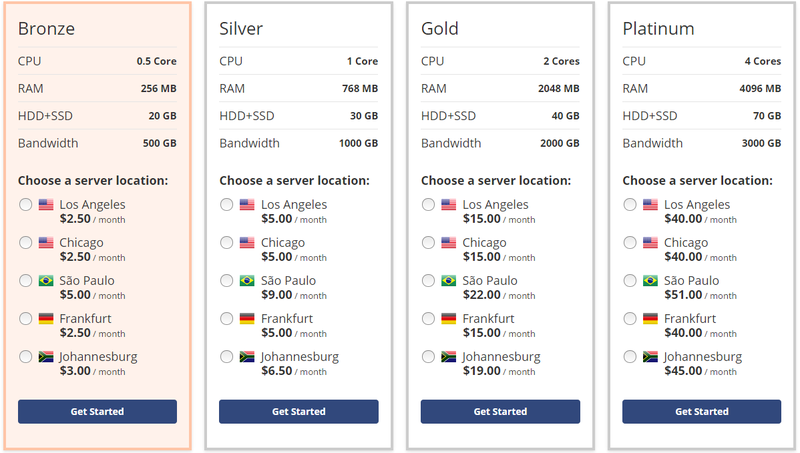 Like the servers in US will cost you less compared to South Africa. Below is their pricing table. If you are new, you can start with $2.5 Bronze plan. How to set up a blog with Host1Plus? Setting up your blog with Host1Plus is damn easy thing. It will hardly take you few minutes to do. Their auto installer features will help you a lot to get the blog set up and run fast. Below is the video which you can use for reference while setting up your blog. I am using this VPS service and can say Host1Plus is one of the most reliable and best VPS services. Host1Plus support team is excellent which will help you at any point of time. Also if you are targeting any particular location then it is best. Host1Plus also handles great amount of traffic so your blog and websites can run without any issues. I would love to know your experience, if you are using Host1Plus VPS. Also, if you are using any other please do let me know in comments.